Every year the Institute of Banking Personnel Selection conducts IBPS PO bank exam to recruit Probationary Officers in public sector banks. IBPS provides recruitment services to all the Public-Sector banks and regular member banks of IBPS society. IBPS was started Common Written Examination in 2011 to select officers and clerks in Public Sector Banks. It accepts online applications through its official website for registration of the examination. 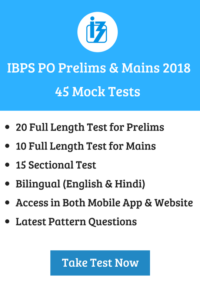 IBPS PO exam is held at various locations across India and the mode of examination is online. There are total 4252 pots for Probationary Officers and Management Trainee Posts by Institute of Banking Personnel Selection. Make sure that you meet the eligibility criteria. Those online applications will not be considered if they do not cater with the eligibility criteria. Read the official notification carefully. Person of Indian Origin who has migrated from Burma, Pakistan, Sri Lanka, Vietnam or East African countries of Zaire, Kenya, Tanzania, Uganda, Zambia, Ethiopia, Malawi, with the intention of permanent settlement in India. The candidates who belong to category 2, 3, 4 must have a certificate of eligibility issued by the Govt of India in their favour. The candidate must be minimum 20 years and maximum 30 years to apply for the Probationary post. The minimum educational qualification is any Graduation degree in any stream from a University recognized by the Government of India. In addition, the percentage of marks obtained in Graduation should be mentioned at time of registration for the IBPS Bank PO examination. The candidate must possess knowledge in computer operation as the exam will be online. He/She should have good verbal, written proficiency in the official language of the State/UT. The candidate should be able to read, write and speak the language. Prelims: The Prelims exam comprises of an online test consisting of 3 sections namely English language, Quantitative Aptitude and Logical Reasoning. The total time allotted for the exam is 1 hour. There are total 100 questions. Mains: The candidates who pass Prelims exam will attend Mains exam. It is also an online test comprising of 4 sections that are English language, Quantitative Aptitude, Reasoning, General Knowledge and Computer Knowledge. The total time allotted for the exam is 140 minutes. There are total 200 questions. The final phase of selection is interview. The minimum marks required for the interview is 40%(35% for reserved category candidates). This round is conducted by the participating bank organizations in each state. How to Apply for IBPS PO Recruitment 2018? Visit the official website- ibps.in and click on the Home Page to open the link “CRP PO/MT”. Then, click on the option titled “CLICK HERE TO APPLY ONLINE FOR CRPPROBATIONARY OFFICERS/ MANAGEMENT TRAINEES (CRP-PO/MT-VIII)” to open the On-Line Application Form. Next, click on “CLICK HERE FOR NEW REGISTRATION” to register the application by entering thebasic information. Upload your photograph, signature, left thump impression and hand-written declaration. Make Payment through the ONLINE mode only. After registering online, the candidates have to take a printout of their system generated online application forms.